Last year, I visited the beautiful Vatican City near Rome, Italy and I was truly amazed by its wonderful atmosphere and magnificent architecture. It is a city like none other and I would love to visit it once again sometime in the future. Sharing some of my pictures here. 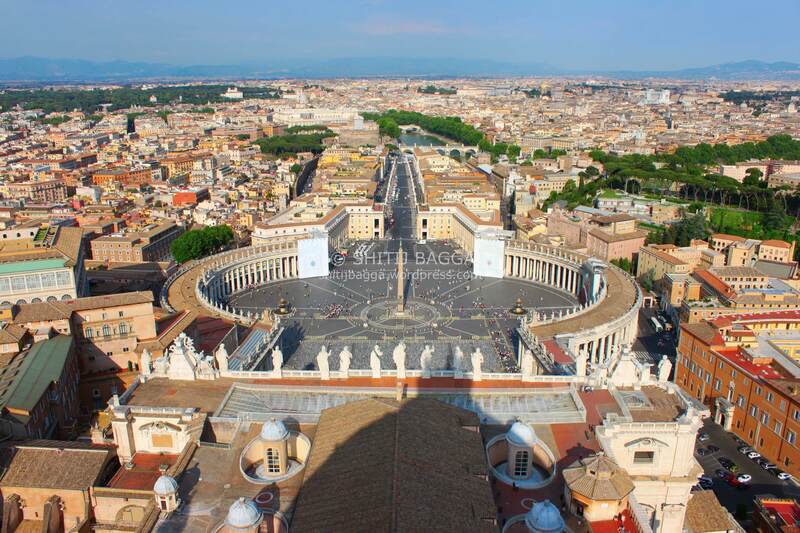 Saint Peter’s Square (Italian: Piazza San Pietro, is located directly in front of St. Peter’s Basilica in the Vatican City, the papal enclave within Rome. 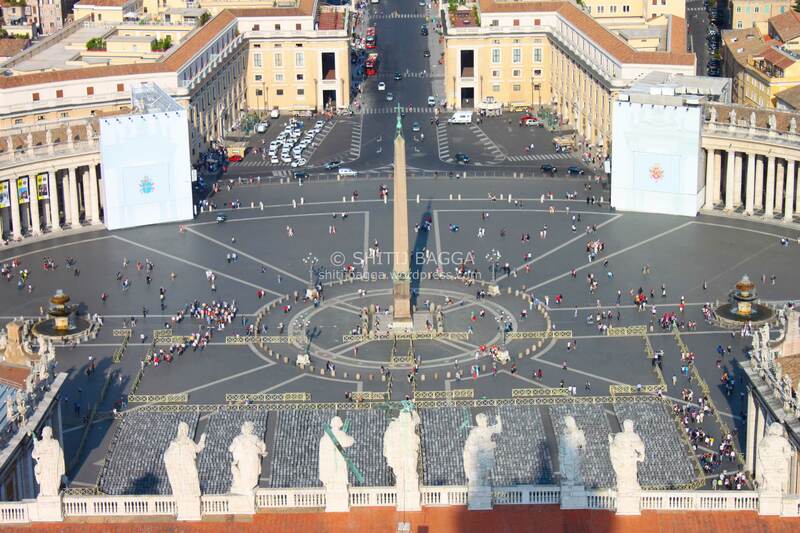 This is a view of St. Peters Square from the top of St. Peter’s Basilica. In 1817 circular stones were set to mark the tip of the obelisk’s shadow at noon as the sun entered each of the signs of the zodiac, making the obelisk a gigantic sundial’s gnomon. 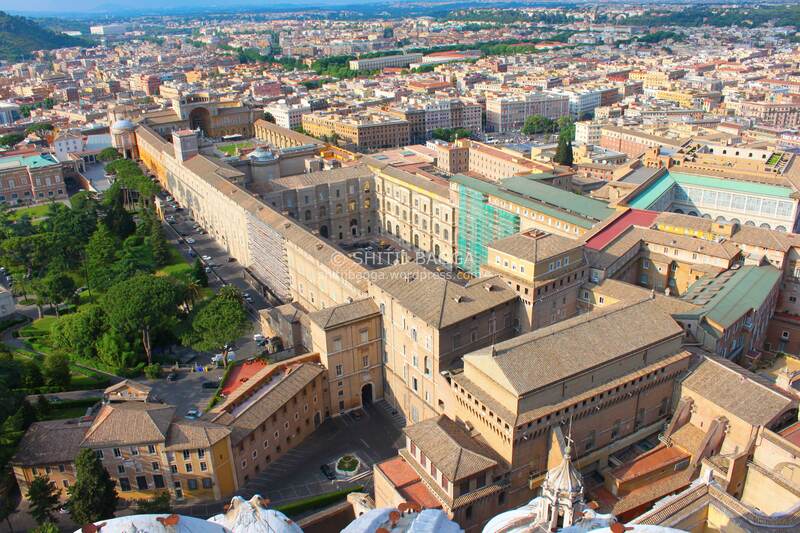 Following is the view of Vatican City Museums from the top of St. Peter’s Basilica. 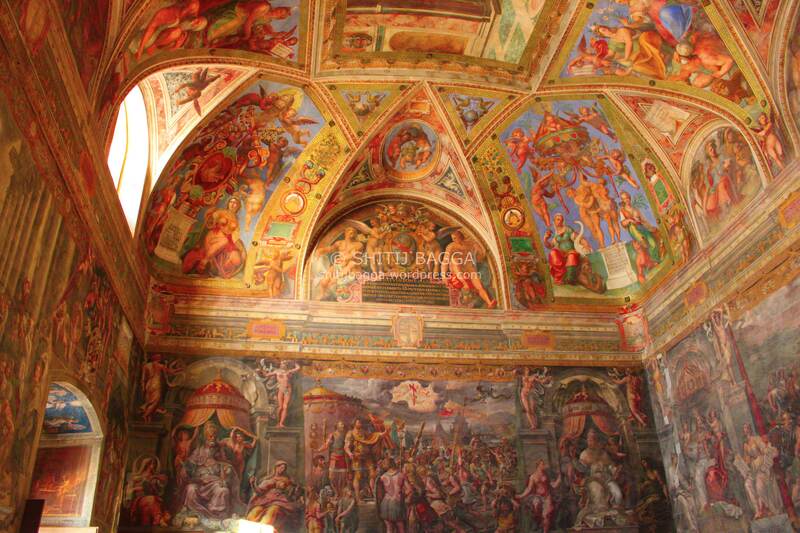 The vatican museums have scores of rooms filled with Frescos, which were very popular through the Renaissance.